Authors G.G. 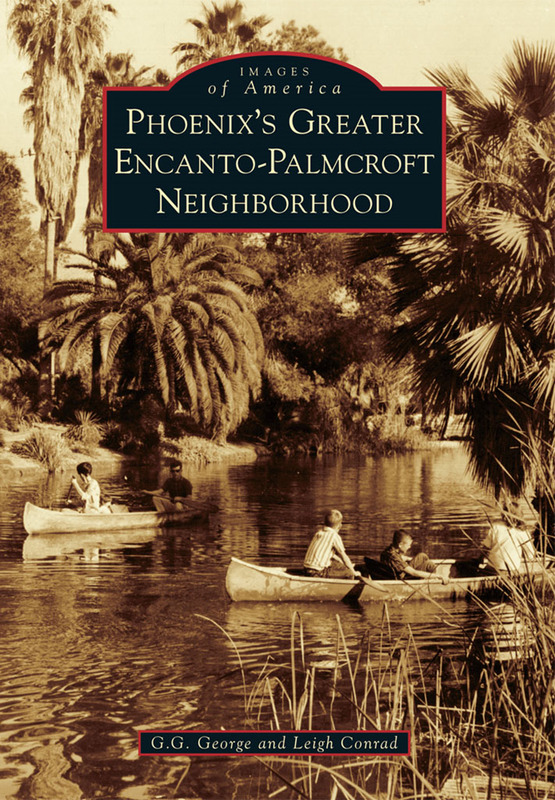 George and Leigh Conrad collaborated to write the definitive history of Phoenix’s Greater Encanto-Palmcroft Neighborhood. Their book shared the humble beginnings of one of Phoenix’s first suburban enclaves, the adjacent State Fair Grounds, and the efforts of neighborhood advocates to prevent these neighborhoods from being trashed by highways in the 1960s and 1970s. Today, these neighborhoods are some of Phoenix’s best. I provided technical assistance as well as provided some original photography for the book.